When emergency strikes, it’s the worst time to be scrambling around, trying to find your water line and access point to shut off the water. Do you know where your water shut-off valve is? It’s really worth knowing before a disaster occurs – time is of the essence, and if you can get to the problem and at least stave it off until professionals arrive, you can minimize damage. If you call a leak detection company like Clearwater, we will probably ask anyway, so it will help us to find and stop your leak as quickly as possible if you already have it located. Locate your water meter (where the utilities guy comes to check how much water you’ve used each month, so they can send you your bill – ick). In milder climates like ours in the Pacific Northwest, the meter and valves are usually in a box with a removable lid, which is dug into the ground next to your home. If you can’t find your meter box, you can call your utility company and they will come out to show you. There are two additional valves – called the curb stop valve and the corporation stop valve (located at your curb and where your home’s water line connects with the one on the street). Do not try to access these valves, or adjust them in any way unless you want to get in trouble with the city. There should be two shut-off valves on your water meter: One before the meter (away from your home) and one after (closer to your home). This will be either a gate-type valve or ball valve (in newer homes). To turn off your water in a leak or emergency, twist the valve that is closest to your home in a clockwise direction (righty-tighty!) a few turns until it is firm and will not continue to turn. In addition to turning your water shut-off valve in an emergency, you can stop local leaks or overflows right at the source – say, your toilet is about to overflow… These are called ‘fixture supply stops’, and they are located on the water supply lines that attach to your toilet, sink, dishwasher, etc. This ‘stop’ is usually a round or oval knob that you will need to turn clockwise 2-4 times to stop the water flow. When you experience a leak, or suspect one, contact Clearwater Leak Detection! 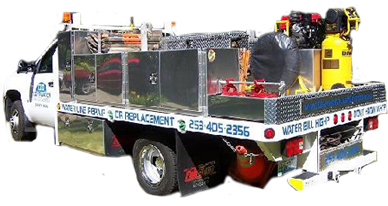 We can diagnose, repair and replace parts and fixtures that are leaking in almost every situation. 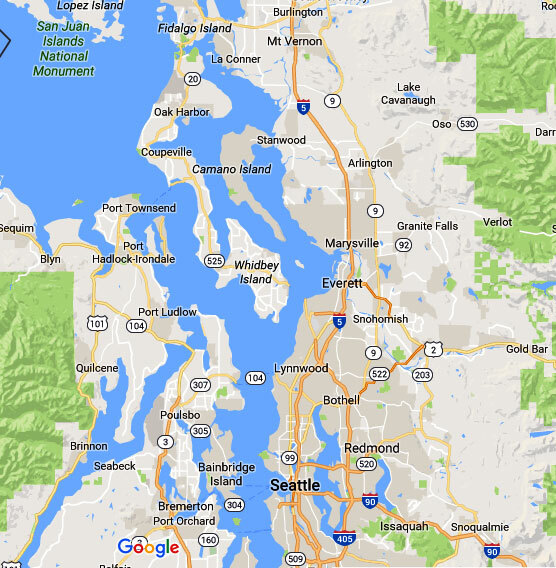 We service the entire Greater Seattle Area and Puget Sound, from Everett to Olympia with affordable, convenient leak detection and repair services. Featured photo source, labeled for reuse.